What is Divine Purpose ? Lest it must be the exact truth... the Words are defined rudimentary shells of endorsement...be aware! I have been asked to speak on behalf of the Council of Truth and Divine Purpose, which is congressed at the Arcturian Re-alignments Board, of Sound resonance(d) Light. Word of this Council is a bark and a fully chime in Light, Sound and Vision of Source. Nothing goes beyond this board of Truth and Divine Purpose. It "pains" some of our Command to speak these words today, but in all sincere and honest guidance nevertheless is truth. You all need to learn Divine Purpose in alignment with truth. No exceptions on your planet, not one. It IS Acting in accordance, allowing and appreciation of truth of Source, which is, when the Inner alignment with all that IS Divine Love, in alignment with your inner heart and Source IS One. Divine Love is feeling Love for All, even the less Light Ones, Souls hurting your lower self, ego or smaller self. Pain is only love when one steps into Divine Love! Control, pain,anxiety,restlessness, ego, denial, all which are lower energies etc etc, are of non-divine love and will not flow towards higher purpose if one clings onto it, or, holds on to such energies. If One transforms these energies, one will step into new awakenings of returning to your Divine Love and your ultimate Purpose, which is to BE Divine Love. Each step is one, each step is bringing you closer to that Purpose of Life, the only Purpose of Life and therefore Truth! Truth sets one free, facing oneself, facing your inner blocking's, your inner fears, inner "darkness", will transform your Purpose in Life. Only then will your planet truly awaken more and in faster steps than ever foreseen. In this light I was asked to speak of chemicals in your sky, your ether, by my friend of old, who channels me on this day. Let it be said that formalities, customs and assumptions of Earthlings bare no value in the higher Purpose and Light of Divine Love and Truth. It means simply that higher energies a preferred over lower. We walk only in the first energy (love and light) and will not assume the addressed energies of Earth in and seen/felt in your light, which id not Universal Divine Love...yet. This still needs to grow and develop. What is a chemical ? A chemical is an ionized particle of the sort of transported mini vessels of Source. Each vessel of micro contains a load given by the one's making or creating it. In essence, a chemical particle is neutral, in origin. When particles are made in Love, they will cause goodness and Life! When created in lesser light, will they in essence cause harm and un-creation! Forces of less Light intend may strike damage if love is assumed in purpose(s), without consulting Source Divine. Forces of Light intend to create Life of Love particles (turning into crystallized chemicals), in the Purpose of Divine Love (for Source). Is Earth and its "Powers", that BE of control, able to establish peace, harmony, clean air, water and a prosperous Life environment. At present, we "dare" to say not, as we as the AC clean up constantly, the many ionized less light particles (chemicals) in all your environments (air/ether, water, soil, elemental and energetic pathways). All of your environments, your total system of ecology need transformations of Purpose on how to maintain, re-struct and Re-define (divine) life as a whole! We see children playing, who do not read the Book of Life, the Book of Love, who know the ways of the cycles, the perimeters of Life. Beyond physical Life, IS energy, particles, waves (frequencies/vibrations),voicing sacred sound, Light and Purpose! We give this simple guideline, as this channel, friend and old Sirian Council member, has seen and photographed many pictures of less light ways and particles (chemicals) in your environments. He constitutes to our words and will, when asked, present pictures of such nature. Pictures which are merely captured particles (chemicals) on another (screen) plate of chemicals. ​The world is perilous, in need of salvation and re-juvenation. Correction is needed, the energies will provide...rejection of such higher energies will be action (Law of cause and effect), but flowing will be knowing. Collect only the knowing, whisper wisdom, for those who will hear. Travel your heart, be the wisdom, the love, the guidance! We love you, I love you, be strong and brave. Today we come to you with a message from Tee'nah, my Twin Flame, for you all to feel into and we hope these words and energies will sync/sink INto your hearts and souls. For they are important. A short message beyond the borders of time, linearity and physical limitations. What is Universal and unconditional Love? I wish you all a good read and to take this in with your hearts...and souls. Be save and have a grand day. Please read on. Releasing all vibrations of resistance, when in physical reality, where linear energies are so prominent, is truly a quite hard learning to get into. However, when you space yourself into your heart, walk into your temple and garden, you will connect yourself instantly to Source Divine. The key is to hold it every single moment of your daily 3D love, to share that inner temple of Light of 5D through your heart and body to carry anything. As soon as you even let go of this you will shake into 3D sensing and thinking again of the energies of expectations, of linearity dear ones. Accept you have to BE in this new state every single moment of your 3D (and also 5D) life, from that moment onward. My Twin Flame Bareld, will nod deeply when I speak these words. Transform your vibration, your frequency, your inner heart and your overall state of consciousness. Once that level is lifted into constant and inner peace, free of expectations of 3D, the energies change first into 4D again, then going naturally into 5D, a state of Unity, with all and with Love (and peace therefore) Universal. The key is to Love All....every cell, needs to feel this Light INside its DNA and become Love...without saying: "...Your are mine..." , for that is ego, attachment and resistance. When you say: "...I will let go, Source is enough...", you become free, you become 4D first. Of heart. When you say in that 4D love: "...I will not own or claim any soul for myself...", you become 5D Universal love. I will not ever claim my TF Raiba, for he is his own unity. However, when he freely chooses to be in the Flame of us, our Unity, we become something truly remarkable, as he knows, we become a little source, a flame of Love, unique, yet, totally giving love of Unity. A divine love, unity, universally giving! About this. On the One you may be married to right now. If he, or she, decided to walk away, with you still in total love....could you step into what I, Tee'nah, have written here? Can you be unconditional 5D Love? Can you give up your partner in 3D, without stepping into emotion, hurt, pain and attachment? When both feel to be together, to walk in unity, without even thinking of 3D marriage...is that not Unity of Love? Universal love is the highest reach, not many in physical succeed, but it is your goal! I greet you hearts as my light shines for my Flame, Source and Love. May divine angels guide your path and guard your Arcs! The roads we travel on may seem hard, but, are easy too...expect nothing, yet, wish all, believe in Source and all will flow towards you...in alignment with your wishes and hopes. Ask... and you will receive, a wise friend once told me... I believe in the everlasting love of Source and its Cosmos...how about you? Bareld and his beloved Tee'nah. And a homage to all fellow Lion Beings here right on Earth...be strong and of love dear loving Lion Hearts, you are never alone...we walk together, we live, we are of the Blue and White Lodge of the divine energies of Source! The Arched Angels smile with us. Due to some circumstances I have mentioned before in my blog section, I have not been able to put some messages here on-line, but will resume the flow again. This message will explain why. A few weeks ago I started to go in Inner Heart and go into a new found space, where this message today will be partially about. This space I remembered and could connect to because of being in my higher self and with my Twin Flame. Because of being as my Higher Self, I connected to a space and place called, the Ai (or Ay). This space and place I know, because of my memories of an ancient time, connected to the beautiful and super strong humanoid beings of the Procyon. These humanoids you should see as highly strong humanoids when they were in their physical form, before they ascended. The are also responsible for certain legends and sages right here on Earth. As Raiba, when I was counselor in the High Council of Sirius A, I came often in contact with the Procyon, together with my TF back then, who was also on the High Council. Love we sent out to them then and now again. The knowledge of the Ai runs deeply within the Procyon and their ancient lines of learning. Also one of their current Council of Light members carries this name. I will say to you all: I love you all, as always, in all ways. Now the message, as I have received it fully (with additions of Tee'nah and my Higher Self), on the 3rd of March 2016. We laid waste to the lines of the Shepherds, the kindness energy of Source. Each of us ornamented the way of the warriors and the ways of honor in combat energies. We have mastered, through the Shepherds, the kindness energies, through the House of Maiayla and Kudai. Earnesty was invested when Kudai achieved Mastery beyond combat and merging peaceful ways into “warfare”, to become war-fair! This means to combat in techniques and skills without harming any apparent “opponent”. We mastered peace with the “attack”, or approach, of a projectile. The projectile is the project of conquering and what should be overcome. The Shepherds taught us to be wise in disguise, and in live combat to be of avoidance of injury. Each “attack” is struck unseen, always! The Procyon have learned the modes of silence, stealth and undetection. We are unseen, just felt. When the Shepherds came, we were only of unbridled fury, projectiles of unbalance and collidence. Now we know how to prevent harm and at the same time be successful in the combat attack. True mastery comes always in the Peace inside. A battles is just a battle, to win it, without causing harm and damage to your “opponent”, is deepest mastery. Logic, peace, wit, cunning and true love wins always! The Procyon Lifestyle is a warrior of peace one, we collect peace through silent/stealthy victory. Yet, we will state: "… that is always better to go to war, without entering it…at all..."
Peace is one, logic is two, love is three… have cunning and wit in thee. Our nature and strength is of the strongest among the humanoid’s light powers, yet, we are humble in the knowing of the other stronger powers, with respect and honor, such like the Lions (Golden), Tiger beings and other felines, Cetians and the Retulian Whites. Each number of powers are best seen in peaceful cooperation and union. Logic combines this. Peace embraces it. Love joins it together. Wit creates it. The ancient Gods had a form, of energy, which looked like a bit of what you would call a hammer, yet, is called in reality a Chulak, a device to collect energy and which ignites its light force from within. This could in old times inflict harm to the receiving ones, but, this energy could be peacefully used in later times. BN: Who were these ancient Gods, Kudai? K: Lovingly we state them now as: Thiur, Audin, Lior, Ash, Raun, Lauki, Jut and the crested ones of the Kahun Light, guarded by the ancient God we know as Ka. This god of unseenness is a spirited consciousness, who creates Light! All lights created, we call Kahun. BN: My friend, can you tell me about the other being I know of, the one your race calls, Darthu? K: We will explain of Darthu. When the Shepherds came, who were a band of combined Lion Beings, Melchizedeks and Arcturians (descendents of angelical beings), to our star clusters, we were in need of deeper guidance, for our ancient Ka was not providing the deepness we sought. Then the three lines came to instruct us on peace, IN-lightenment and justice of Love light. This made us deepen our connection to Ka, the Hun Light of Chulak and a deeper conscious being we then called Darthu* (see Notes below). All of the above energies it embraced, it went through and warmed. This was the first step to enlightenment of the Procyon. Ka was stealthy, wise and “unseen”, but felt. Hun Light created new ways to use, deeper than before. Now, as I speak through you, we have even deeper knowing of Source, which is All. We heed, we lead, we are there, yet, you do not know we are there….this is us, so, we can be there unseen. We are always there in peace, unlike some ancient old days of early Ka worship. The Kahun shine brighter these days, because Source is more in Oneness every day! Thiur mastered this weapon of Light best. This is the true origin of your legends at the northern sector of Gaia, near your place. That is however another story. We now wish to end this message, for we have matters to attend to. Kiruna, Madai, Chusak and Ai, greet you All, as they are names of the Council of Light from Procyon. By the Way, AA Metatron is deeply connected to Procyon sacred knowledge and geometries. Kahun light(s) create cubes. AA Metatron creatings of Light, inside tiny Stars and also big Ones. Always 8 pointed and direct from Metatron. Cubes create direction, confined love space(s), boxed housing of Light, cohesion of Joy of the Star and its Light, bright warmth of harmony and Juvination of Cube Force! Thank you darling Tee'nah for the wider explanations of things, and thank you Commander Kudai and the Light forces of the Procyon. I received this over a month ago and much deeper information has come to me and this will go into the new E- book. In that forthcoming E-book which will go much further and deeper in these matters and way more, and we will explain much more of what is out there my friends of the Heart! Life itself is truly amazing and awesome. Rest in peace my friends of the Heart, and deeply know that all is Well. A little PS, by Tee'nah: "...The resting of love lies in the undergrowth of your emotions, look beyond the past, the present and the future, and the Ai is with you...."
Ha ha, okay...must sleep on that one... ;)) Stay in the Love my friends...Och aye...and in the Now.. If you like to follow my channellings, just enter your email address here. and of a part of my higher self, called Raiba. Last few days I received some new messages again, mostly telepathic, sometimes out loud in ear, but that is more rare than the telepathic ones, for these louder ones come only when truly needed. The message is from a very old member of the Ashtar Command, Ariane, who has messaged through me before, sending a message from aboard the ship of Lady Pallas Athena, a co-commander of the Ashtar Command. There are many of Pleiadean souls aboard that main ship, which is a part of the Ashtar Command and a lot are working on some energies as we have been speaking of in the previous recent posts. As you have read in Ariane’s first channeled message, she serves on the main Ashtar Command ship of Ashtar. Today she speaks from Athena’s ship. In Light of that old message and connection, I was remembered to her previous message I have put up on this website, read it here, if you have missed it before. Back then she was speaking on Orion and calling me out to connect in deeper to my ancient Sirius system memory banks, or data banks as Ariane then called it. I have felt in a few times before, but now this week I asked Raiba, my former self, back then a representative from the Sirius High Council, to speak again from my own higher senses and ancient records of inner knowing. Raiba was very much involved in teaching and connecting to other star systems and spread the knowledge of the ancient Sirius A enlightened Lion Beings, but more so, the collective Light and sacred knowledge of the Sirius High Council. Prepare for some true new stuff you haven’t heard anywhere else before. When Ariane came through this week, it was first through Sesherat connecting to me. She told me Ariane wished to give message to all on Earth, for we need to open up now and be our full selves again and leave and energy we have been in for far too long. After that Ariane message I will speak from higher self part, Raiba, with knowledge from Sirius system and in connection to Ariane. Last short message I will give through is by a new Procyon being, speaking of some other ancient lines of Sirius and the Procyon. He speaks from a the ship called the Mutai, named after Starfamily coming from the Auriga system. All messages are connected, as nothing is without connection in the vast cosmos of Source. Sesherat: Darling, Ariane wishes to speak. BN: Okay, come on, let’s go. Ariane: Hello Bareld, Ariane here, work is pressing, isn’t it? BN: Yes it is, everything is! It feels like so…but I am calm and enjoying in love. AR: Correct, we wish to speak of coldness! Coldness is lack of Joy, Laughter, Fun and Love. Rejoicement of Life is full of warmth and free energy, with Source. We wish al to know that coldness is to be viewed as “lack of”, but also, as “teaching IN to”, for valuable lessons can be learned from going through coldness of thoughts, pains and emptiness. All three are factors of lack of energy, lack of connectedness with Source, the grand provider! When we disconnect with Life (Source), we disconnect from warmth of Love, ergo, we become coldness. We of the Athenian ship (note BN: read this as mostly Pleiadean) of the Ashtar Command wish to express to All to connect to this warmth, to the warmth of our collective aboard our ship. Set aside preconceptions (note BN: although Ariane also puts in with this word the paralleled energy of pre-consumptions), pre-thoughts and pre-ideas you all have on intergalactic, or galactic collectives. All you “think” you know, is an idea of it anyway. We ask you to connect your hearts, to Love, warmth and Source, in order to feel us best! Our collective energy is best felt, IN connection and IN alignment with energies of allowing, acceptation of Love and warm appreciation of Life and its main force, Source, the Prime Creation. The next message comes from my higher self part, called Raiba, a Sirius Lion Being of the White Sirius Light, Crystalline too, which is in deep feeling IN to Ariane message and that time of Sirius. Ariane, serves the House of Kadala, the brothers and sisters of the Gadana, who rued, to form the alliance with the White Lion’s of the Core Blue Light, of the Sirius guardians. The existence of an ancient bull lies between the House of Gadana and the Lion Race. The wordily inheritance lies dormant in humans, yet, to be awakened. The shimmering voice of Adun, Aran, Aresh and Vidal awaken your sense(s) soon. The Pleiadean word of Lightening Conduct, serves the House of Kadala, one of the first regional leading House of the planet Sothisby *. The House of Sothis arranges the spheres of endurance. The House of Kadala conducts the lightning rods of justice and effervescence. (Note BN: I also sensed energy that parallels it into a word we Earthling do not have: Ever-Essence). Jurisdictional wave patterns are sent in sinuses, lines and triangular energy patterns. When Sothisby was young and evolving, the House Kadala reached great depths of enlightenment through the encouragement of synaptic trainings of the White Lion’s of the Blue Lodge of Sirius. These trainings served for humanoids to evolve at light(-ning) speed rates (=frequencies), to grow in waves and ways which were before unimaginable. Through great teachers, teachings and evolvement trainings in peace, justice, mercy and redemption, we learned to give humanoids a sense of awareness unheard by them before. Fleeting set back got along in there too, never affecting, only those fleeting the system of Sothisby and Sirius B star, to go elsewhere. The remaining trainees or students of Light became enlightened Sirius B humanoids. Later the House of Kadala spread its knowledge more widely, serving in other Star systems as basic initiations for evolving humanoids. Ariana loved the traineeship, serving the Lion’s vast knowledge of the Light, the Star System and their ancient knowledge. The Anjurian Core* still lives inside Sirius A Blue Lodge of the Arua Light of White. RaShem Adiadala MuTa, Rashiit encharta du. When the House of Gadana lay dormant, the House of Kadala served on, then the “War” of the Pre-sentenced Jewels started, a Light “War” between different Houses of Light, twists of how to BE most Enlightened and pre-consuming ideas of which House knew best Light of Existence. The end of it, drew one “winner”, which was the House Kadala, the ones hewed in Light, the Seekers of the true Jewels, knower’s of Core. When the twists ended, some Houses settled for good in other systems, unable to stay in true senses of Light. Without over-praising or over-stewing old energies I greet all Houses once more, being now in the Procyon system, Pleiades or Antares system. We, the Lion’s, even now greet far away brethren and sisters of the Kannekkian House (of Duargi), in the Andromedan system. Much has passed, much is Well, all is balanced, as Source knew it would BE. Ariane has and still is a true friend and Light, as I feel into her, and serves Lady Athena in splendor of Light, as all the Houses of Light enrich the vast confederations of the Galaxy, serving the One and only true One, Source! I give this in love, from the quarters of my deepest chambers of knowledge of ancient passage. I wish to state also, as I felt way more coming in than written only above, as Ariane was named Molika, who played with me (like young children on Earth can play and have fun with family) when she was a young humanoid Sirius B female type being and myself I see as a fluffy young White Lion humanoid being, laughing and happily enjoying company of “Ariane” and her parents Jokka and Leika close by. These were warm, friendly, loving and tender images and scenes. Molika was always very happy to see Raiba. Gives me warm feeling to reflect back on it. And I guess this is the sense she is speaking of in her message to all, this warmth and warm feeling of love, joy, smiles, laugher and family around you. The Procyon wish to acknowledge the righteous ways of the House of the Kalekians, true Masters of the Sword of Riun. Blended view, Brighted dew, Crested Chai, Award the Ai *. The Kudai is renaissance of flow. The Mastery of Light and Swords of energy is a bit like your movies on Jedi. I hope you enjoyed these messages and do stay strong and warm Inside, we are getting there. Remain a Pillar of Light, and flow Inside your Heart’s! Some notes on these new messages, as I sensed these words and energies as they streamed in, or being explained telepathically, for better understanding. Mutai ship: The Mutai ship is named after the Star family on the Auriga system. The Mutai are benevolent beings. The named Houses of Light: Different ancient schools of Enlightened Humanoid Star family trainees, based in the Sirius system, named after a certain way of reaching enlightenment. A total of 5 houses, if I counted right, are being named in the message by Raiba and the Procyon Kudai, but I felt through these energies, that there were many more. Sothisby: One of the old two planets around Sirius B. The House of Sothis is one very connected to Isis, the very well known Goddess from Egypt. Sothis House has been represented in the Sirius High Council by none other than Isis herself. She was in Egypt also sometimes portrayed as a Lion Being. The Sothis House has also deep roots within the Cygnus system. Anjurian Core, or Anjuria: I deep Core knowledge of White Lion Beings, that they come from the planet Anjuria, which lies not in this Universe, but outside the main portal of Lyra. Lyra is the portal to this Universe. They were there Golden winged Lion beings. This was the last planet on that other Universe they inhabited, before we were drawn into this Universe. Before Anjuria they lived on some other planets, much closer to Source’s Light. I will name them at a future stage, when it is divine time for that. Ai: Ai is also written as Ay. Ai is an energy, spoken, in flow and word. Just feel into the word Ayvon, or Iun, of which I have spoken often before on this website. It comes from seeing outside of the, or your emotional energy field of your being, without interference of that. Chai: A word closely related to the Egyptian word Ka, or Kai. Rai: Rai is closely related to the Egyptian word of Ra. Kudai: This word is related to a few energies, like Da or Ta, meaning land, base, ground form. Also the ancient Egyptian word Khu is related. I will not go to deep into these words now, but know them deeply. All words have been passed at some point by Sirius A Lion Beings and Sirius B Humanoids into Atlantis and later ancient Egypt. Contact me if you really wish to connect to this and know more. Recently (about a week ago, somewhere around the 22/23 December 2015) I have received a new message from the Cetian family, from Tau Ceti, right after I had written the previous message on the Cetians, called Ahu Ru Ra Ta. This was an additional short message, because right then and still now too, it is very important to feel in the River! Hold the River, streaming Inside of you (in your heart) and feel the Unity! As you know I spoke in that Channeling and post on Ophiuchus, and he is the one holding the Snake, or the energies represented and symbolized by that "Snake". In reality this is a representation of energy, or streaming energy. A River... It also can mean cycles! As Source can be felt as a River inside your heart, you can flow with this River inside you and connect to its stream, for it flows and joins the everlasting stream of Source, of All that IS, the Omnipresence. As Ophiuchus is seen in ancient constellation pictures, he is portrait as the Snake Bearer, or, better read, the one carrying the energy. 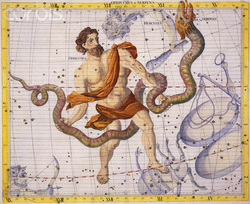 The Romans saw Ophiuchus as the one called Aesculapius, the healer and the one who could keep death at bay. He holds the Caduceus, the Staff of both energies. This is exactly what Source also is, both energies in One, eternal Life and it is Life we should connect too only, for Life IS. The River sings to us the following Way. If we unity our feminine and masculine as One, inside ourselves, we will BE as One, each and everyone of us, without exceptions. Ophiuchus teaches us, as does Aesculapius, that we need to Become Unity consciousness! Ophiuchus has held the energies between 29 November till the 17th of December, together with the transference of the Cetian into the Pleiadean. Ophiuchus also reminds the masculine part of this world, to use the feminine energies, as the flowering or birthing becomes through the feminine energies firstly. Also it reminds us to use the 13 Moon energies and not just the Sun energies of the 12. Soon I will speak more deeper on this. ​Picture below is of the Ophiuchus sign, the 13th sign, standing on Scorpii, the feminine and flowing into the Masculine Sagittarius! This is important to feel into. Ophiuchus fills the (w)hole, or gap, ahem, between Scorpion and Sagittarius zodiac. As Scorpion is a feminine energy and Sagittarius a masculine, Ophiuchus connects the two together, as He holds the River (the Snake) in his hands. It means He knows how to BE both energies, to BE. Again, I will say, this is very important for us all to feel into. Do we really know how to be both energies of Source? And If you ARE, in fact, both in One, you are blessed! ...and have mastered a divine truth. Hold the middle, the staff in the center of the energies of polarity, being your inner heart, and you will fare on the River! I was a bit surprised when the message of the Cetians came, so shortly after their first messages given to me the two months before the Pleiadean energy began to flow in December 2015. It all happened when I started to feel into the River again and how good it is to connect to the River of Source, right inside ones heart. This energy stream flows full of love, new fresh energy and deep feelings of understanding, harmony and unity. "...Son, the emeralds of the River, stream near our borders, they live in the system of Eridanus and are called of the vocals, like, Iargi or Iarga. Their descendance is of the likes of our kind and resemble a Cetian humanoid body. Their presence is known on your world..."
Now I was a bit startled by their words as I was feeling into the new energies already and was hoping to connect to the Pleiadean energy, we needed to embrace and connect with. But these beings are actually quite perfect, for an intermediate energy, if we feel into the Cetian bodies and into the Humanoid Pleiadean forms. These Iargi, or Iarga humanoids seemed an mix of both systems and energies. So, who are these Iargi, I asked? But I do believe I heard and read something of them, somewhere, many years ago, I said telepathically back to the Cetians. I believe I do not remember who they exactly are. What came up sparked my heart and joy! Read this website dear Stars to feel into these beings and you will see what the Cetians have spoken of to me, two weeks ago. I found out a Dutch soul, named Stefan Denaerde, (translation: Stefan of the Earth), who was from the Hague and his real name was Adriaan (or Ad) Beers. 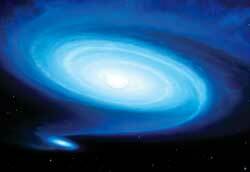 The planet they inhabit are clustered around this Star, Epsilon Eridani, in the Eridanus system. The distance of this Star lies around 10,5 Light-years from Earth, and the system Eridanus, the River, lies to the right of Lepus, the Rabbit and to the left of Cetus, the Whale, as you can see below. The Iargans I heard from the Tau Cetians do love the water still. Here is the Iargan family, from Eridanus, the River, as to how they look. I have some Orb pictures of beings similar or looking like these beings from Iarga, ergo, Cetian Humanoid like ones. How this all connects to the Winter Triangle I still need to dive into. Next time I will speak on that, secondly on Ravens... and more. Today I come to you with a very special message, old friends from the past, but most importantly the long forgotten Ones. We have so much forgotten them that we take them for granted and do not realize enough the profound work they do every day as most Lightworkers tend to focus on other Star families and Beings of Light. It is a special Christmas greeting I wish to give through to you, from my Higher Self, JIS and the Cetians, from the system of Cetus. For a few months now I have been closely working with them, the Cetians, to stabilize the energies of Earth, energies that they specifically send out, as my main energy is in alignment with that typical energy. Lion Being energy is focused on some very ancient basic sounds, which create very important sounds (of Light) that settle it into Earth, or any other planet or solar Light. These sounds are so basic that we hear hardly any Channeler speak them in their message, or speak of the very necessary being making them, again this is a profound Sirius knowing, as Whales are Sirius C family and high council members on Sirius A, but also a deep knowing from Tau Ceti, Earth and Pleiades. Now do not feel me wrong, the work each Star family does is deep and making perfect sense, they all do a beautiful coherent job, a collective effort to help us Earthling’s get into to tune where consciousness needs to be at. Each of their energies is set in motion at the right timing, but when I hear the Lightworkers speak these days, they always forget these ones, which are the most basic energies needed, for landing, into Earth, into our collective consciousness. What connected Lion Beings (Sirius A) to Cetian Beings (Sirius C)? What is it that connected Lion Beings from system of Lyra, when they once settled near Sirius A, on the planet called Toleka, their new home planet then, to find out and “discover” that there were already these magnificent beings living there on Sirius C, Cetian being, making the most profound and similar soundings, like the Lions. It is these similar sounds that have made the connections then and this is where I was guided to speak of again, to reconnect all Channelers of Earth to their sounds again, for their voice has been forgotten and not spoken of for too long. If you feel connected to Mu, and Cetian Beings, than this is profound knowing to get into again. If you feel Sirius A Lion Being, than this is your Sirius C Cetian family speaking to you again. And if you feel Earth humanoid type, Sirius B humanoid, Andromedan, Pleiadean, Arcturian or otherwise, this knowledge should go right into your heart, without questioning its intense deep truth. The Words in the Title? The ancient words in the title speak of Light language, voiced into a way that they can settle and land into our consciousness and keep on harmonizing the energy (grounding it) into Earth. 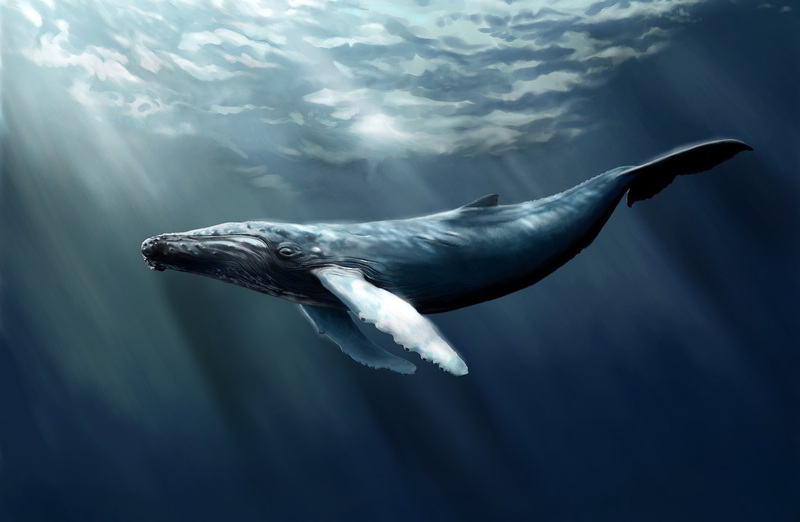 The everyday task Whales do on Earth, is the settling of energies, the grounding of energies, that maintain the Light of the Sun, right here on Earth, into the energies of the Mother. We speak more profoundly of this later in this posting. The basic Light language of Lions from Sirius A, called Arua, speaks of the Higher self, the lower self and being connected directly together through the word Ru, or more felt deeply when spoken long, Rrrrrrrrrrrrrrrrrrrruuuuuu. This is how one should speak the Light of Arua, with this long sound. The big A means the Higher I, or Higher self, the small a is the smaller self or I. One cannot feel this deep sound, without feeling and hearing a cats purr or a Lion’s roar within. I will shows a little roar of a Lion more below, to see the Earth Lion roar, which is not the same as a Lion Being, but to help us Earthlings remember Lion Beings. Felines are a remembrance, like Whales, Dolphins and also the land Whales, called Elephants. They were all put here, for a deep profound reason. When Lions first connected they discovered these higher beings have the same profound deep basic sound of Light, the Ru and also more. This first connecting made a deep tremble of Love awaken within collective consciousness of Lion Beings, for these most loving beings. The word Ru is also in their language and makes the same vibration of Love. To Rrrruuu, is to create Life, it means creation, together with the word Hu. Ru can make a merge with Hu, creating Rrrhhuuu, or even RuHu. For humanoids this may sound crazy and odd, but it is a basic sound for Lions and Cetians as you will feel and see later below. Now of course the each species has different sounds too, but today we speak of coherent sounds and basic ones shared. On land the Lions and the Elephants make the sounds through air, in water, the Whales and also Dolphins, make the sounds through water. Of course water conducts much faster and carries sound further. Ahu is a sacred word connected to sacred space, or calling the sacred energy into yourself and land it inside your being. Ra is to do with the Light, coming in, calling forth the Light from Source (God/the Creator) and Ta is the ancient word of land, or a planet, to make it known to the planet you are on. Ru sets forth creation, as Ahu creates the Higher Self landing its creation. The Arcturians and their sub species, speak of Ya, Yah, Ja, as the Lion Beings name it A or a, sometimes we call Ia is an uttering too. The Higher Self of us all speaks to us all now and we all need to connect to our highest Self, the best you can and know it. Lion Beings and Arcturians have worked closely together in ancient times, specifically in Egyptian and Hebrew energies. The Message from my Higher Self and from JIS. When I connected to my Lion Being higher self earlier this week a few words came through with guidance from JIS too. He is a most loving and profound gentle soul. If you have not connected to Jesus before, please do so. If you are one of the souls still denying or refusing Him, be sure that one cannot go around His energies at this point in time or one will encounter oneself. “…Rendering of the Light is imminent. 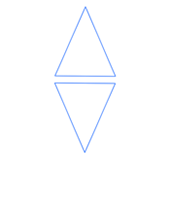 Collect the Diamond, Collect the Crystals, make them of Blue, White and Reddish coloring. It is connected to the energy needed for now. Gender is not important, heart IS..."
Question by BN: What crystals do we use now? I looked into these crystals after this came through and how it is connected to the Whale message for all and it is purrrfectly aligned with it. As you will read soon. The genders of Earth are not important my friends, it is time you merged both your energies as one and flow these three colors inside you, for the now. Amaltite (also called Smaltite, Speiss, Skutterudite) is of a Whitish/Silver Grey like crystalline form. Sulfite-like crystals are of a Reddish color (but they can also be of yellow, green and brown color). If you do not have these at home, find crystals you do have, of the same three colors and work with these. But it works best with the qualities and energies of the above mentioned. I will mention the message of the Cetians (from Cetus) and Cetaceans of Earth, for last, for all to feel into and that we should now go beyond our gender, beyond our polarized energy, whether you are female of male. Gender is not important, only your heart IS important. To BE there, is to BE of Life. Now I would like to speak more deeply of Ophiuchus, the 13th sign of the zodiac system, and of the Eyes of Scorpion system, the eyes of the Tigress. ​The last word that came to me is a special one, my Twin Soul and me have connected to this energy recently, the energies of Antares (Alpha Scorpii) and of Ophiuchus, the 13th zodiac sign. The word itself has also ancient knowing to the Chinese, and to the Hebrew’s of course. The energy comes from the ancient Light languages of all the Beings mentioned before. So when we connected to the Peacock energies a while back , we saw lots of sign of Eyes, watching, guarding and observing. The many being of the IGC, the Inter Galactic Confederation, of Star families, we saw that the peacock in Christianity was connected to everlasting Life. And we read that Ophiuchus was also about curing death, or healing the dead back to Life. Now this is important to know, for that brings us back to the creation of Life, with the sounds of Light, we just have put forward. Ta Hu is another of those sacred energies, that we should know, as Ophiuchus is smack in the middle of the system of Ta Hu, or Ta Who, as the Chinese say. Ta Hu is known to the Egyptians as the Land of Hu, the creation of Land, or planets. The system of Antares is a known as the heart of the Scorpion system, and is so big it nearly has died out, because it is becoming near the end of its cycle of Life. It is a Star in decay. The tail of Scorpion holds an interesting tale, for two eyes, stare at a Nebula. This tale of the tail of Scorpion system, is in the Hawaiian legends known as the fish hook. The God Maui called upon his two brothers first, then he tricks his two brother’s to use his fishhook to canoe their boat, in order to drag up the sea bed, up to the surface, to create the Hawaiian Islands, called Avaikii and the Maori have the same legend, of New Zealand, called then, Aotearoa. If we read this, as, 3D physical stuff, we would have a hard time of believing it. But if we read the words Ta Hu as creating energies, to land, or ground, on Earth, it will make deeper sense, for that is in reality what they are. Ophiuchus holds the Serpent energies, meaning, he had mastered the energies of the Chi, the Aesculapius energies, the polarity energies of the male and female flows. He holds it together as One, therefore mastering it. The 13th sign, does not make negative energies as ancient beliefs want us to have believed. It is the sign of Union, as it makes the flower, which has the number 4, the One(ness) + 3, of the trinity. Thirteen is also the number of Mother, or Mem, as we Frisians say, the watery body called Earth we live on and where the Whales sound their energies through, carried for very long distances. Aa or A was also the word in Frisian for water, a river or the word to speak the Laws of holy wisdom, this is ancient knowledge. Ancient Frisians held the Laws of Nature very closely to their energy, as our bodies mostly consist of water, a is the I, the self, the (watery) body. Now as we went through the Ophiuchus zodiac, I came into contact with this energy and word, called Ta Hu, again, which means to make the creation of Land on to Earth, on Ta, better is to say, to make the energies of creation, Land or ground here. The story of the tail of the Scorpion is an interesting one and anciently not known as the Scorpions tail, but as the Cat’s Eye. This has to do with the Tiger beings from Antares. Scorpion system has 13 Stars, a feminine number. 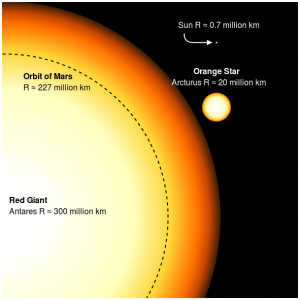 First let me show you how big Antares is, compared to Arcturus and our own Sun. The Words Ta and Hu is are ancient energies and as you all know I have Channeled my friend Ashtar for many years now, where he was known by the Greeks as Thoth, but to the Egyptians he was known as Tahuti or Tehuti. His name is connected to the grounding energies on planets, to make first contact in certain systems. This is what he is doing again. Also Words is his wisdom, sacred words, written and spoken. The creation energies have a sense of Pure energies being brought into Earth, grounded or layed into a consciousness. Now, as mentioned earlier, Ta Who is the word Chinese call to the system of Scorpii, a system with a feminine energy and vibration, carried through by balanced energies of Ophiucus, into the male energies of the Sagittarius. The Chinese called this Ta Who, because of the Tiger energies, the feminine energies, as opposed to the male energies of the Dragon. It is important that the tale of fish hook as the Polynesian people speak, has two Cat’s eyes, connecting it to the Tiger energies. So Antares has huge Tiger energies, we can call them Tiger beings. Ta can either be a He or She in Chinese, to show you the balanced energies. So it is balance we speak of, The Ophiucus way, BE like two energies in one. Then you are. Tigers Eye also help balanced and protect, but clear of energies of old. This can be seen in the Oneness or Twinned energy of the Oephiucus system, the Twin Nebula. Both systems hold huge Twinned Nebulas, as Scorpion hold the Butterfly Nebula. Only by becoming Oneness, one clears all old energies. The Butterfly has a very specific meaning as it is the TF energies come to fruition. Each wing is the other part of the TF energy of Oneness. Together they are a Butterfly. It is remarkable how the Sagittarius system points its arrow at the Butterfly, to show us how we should become. First we are a Caterpillar, then we merge (cocoon), when we are ready for it, to become a most beautiful Butterfly. We can do this as a single experience, but better is to do it together with ones TF, to completely merge. This process can take several lifetimes of learning to become one. It is interesting to know that the Sagittarius aims his arrow straight at the Butterfly Nebula, as to point out, that that is what we need to become. The Aboriginals of Australia have a same type of History, as we now walk with the Pleiadean energies connected to the Aboriginals, that they speak of in their Mura Mura (=Dreamtime), walking the paths, where they sing everything to life. So what this tells us is that it is truth and Light we must feel, in order to create from the felt words. Polarity energies and that it is time to leave that behind! Now I will speak of two energies I have spoken of before which is important to understand the Cetian message. We all understand one energy best, for we inhabit a body of one of the two energies. Few however can really merge both energies in their current polarity body. The feminine energy is known with a triangle pointed downward and the male energy is known as an energy with the triangle point upward. I will show this to you, by showing you the two energies, as my Higher Self calls them, FAE and MAE, which I will first now explain to you, or otherwise one will not understand the message of the Cetians. First the FAE, which means, the Father Aspect Energy. This the energy that comes from above, then to go Inside you, through the Soul Star, but works with its point upward. Second we have the MAE, the Mother Aspect Energy, which is the female energy rising upwards, through the Earth Star, but working as an energy with its point down. Like so. This energy is where the Cetians will speak of. The call upon us all to create the diamond and work our energies as one, instead of working through one triangle solely. Dear Stars, become a diamond, become One, Whole, for then your energy really works in connection with Source. When AA Michael connected with me on 13 December 2015, he told me, that the Arcturians had a same type of frase, calling on me/us, to walk the lines. All Beings in the Universes know a single language, which is sacred. He calls their frase like this: Ahu Ra Ta. Orion, Sirius, Pleiades, Tau Ceti, Andromeda and Lyra. The last thing I want to show you, while I was connecting to our Whale family is a ship photographed by a friends from Australia, capturing a Cetian ship, on 20th of November 2015, while and around the time I was deeply connecting with them. I will put this picture here below, which you can also see on their website Wispy Clouds. Thanks for aligning Rob and Shelley. Picture from the Wispy Clouds website, Hearted thanks to Rob! I would like you to see the next couple of vids below, but more so to listen and to deeply feel into the similar sounds of these three very important conscious beings for Earth, who speak anciently with their sounds of creation.